As marketers plough more money into content, a strategy is essential to achieve cut-through. Here are a few points to consider. Where next for content marketing? According to Tamba, 86 per cent of B2B and 77 per cent of B2C marketers are using content marketing. Last year, an average of 32 per cent or 28 per cent of marketing budgets in North America was paid for content. The amount being spent is also going up – 51 per cent said they would increase their spending, and only 3 per cent were looking to cut it. It looks like the growing investment in content is happening for a good reason – it gets results. 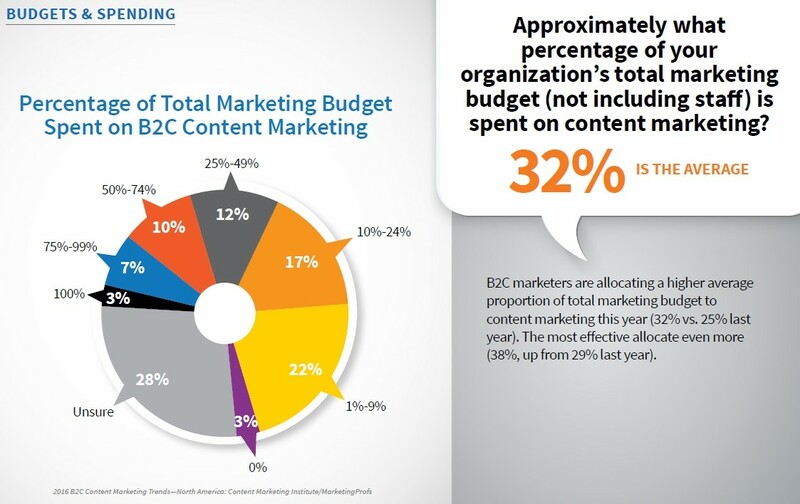 The most effective marketers are spending more than twice as much on content (as a percentage of their budgets) compared with their counterparts. Obviously, there are some potential problems coming up. After all, if every marketer is investing in large amounts of content, that means far more competition for increasingly limited attention. A farmer doesn’t scatter seeds on a field at random. He picks the right season, prepares the ground, fertilises, and only then plants his crop. What’s more, he plants what he knows will do well in the current climate – there’s no point trying to produce bananas in Scotland, or grow strawberries in the snow! Content saturation means that – if you’re planning to put time and money into producing written features, videos or social media output – a proper content strategy is essential. You have to plan, if you want to avoid relying on luck. Like the farmer, you have to understand the seasons, read the weather, and produce the right content for the times to collect a bumper harvest of views – and, more importantly, sales. Formulating your goals – are you looking to engage your audience or to directly generate leads? Are your goals appropriate, given the nature of your organisation? Finding content gaps – how can you discover rising trends that your competitors – and the internet at large – aren’t talking about? Choosing a channel – what are the different advantages of paid, earned and owned? If you interested in learning more about how to build successful content strategies, our Advanced Content Strategy course is available now with limited spaces remaining.